Today I downloaded the minimal iso, and wrote it with ImageWriter, when I press either graphical or non-graphical installer I get kernel panic error. The iso took me 2 days to download! and right now i’m really disappointed. Here’s a screenshot of the error message. 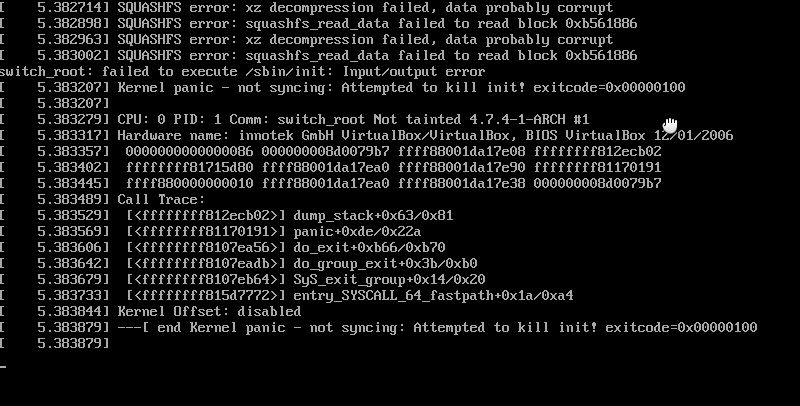 Also i tried it with Virtual Machine, still the same error. I have an HP Probook 4530 laptop. BTW: VM is not the problem, I just tested it for a second time in VM. I get the same error on a regular flash disk boot.